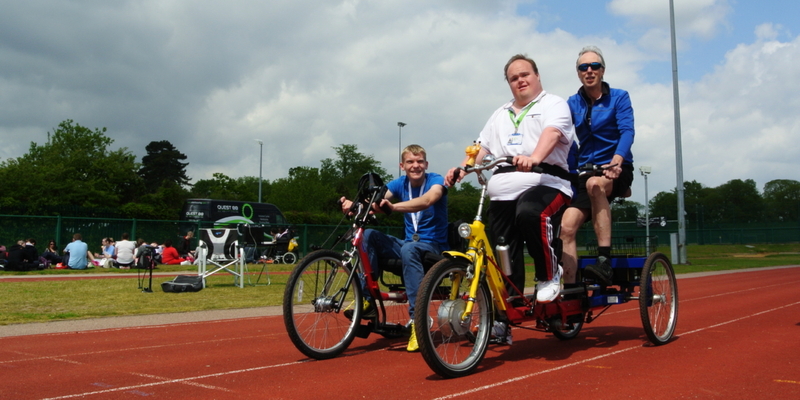 Disabled people will have the chance to enjoy a new cycling club at the UEA Sportspark. Starting 3rd October, these fully inclusive cycling activity sessions are designed for disabled groups, disabled individuals (16+), their carers and families. In partnership with Active Norfolk and the UEA Sportspark, the Inclusive Cycling Hub Club offers a fleet of specially adapted bikes for use on the Sportspark’s outdoor track. Plus there will be loads of other specially adapted activities to cater for people with a range of learning and physical disabilities. The cost to attend is £1.50 per person, and is FREE for carers. These fun and sociable club sessions are a great way to meet new people, reduce stress, and try some fun activity in an inclusive and welcoming environment. There are 7 brand new adapted bikes and trikes to try, and each bike has been adapted for use for a range of different disabilities. For more information visit www.activenorfolk.org/disability.